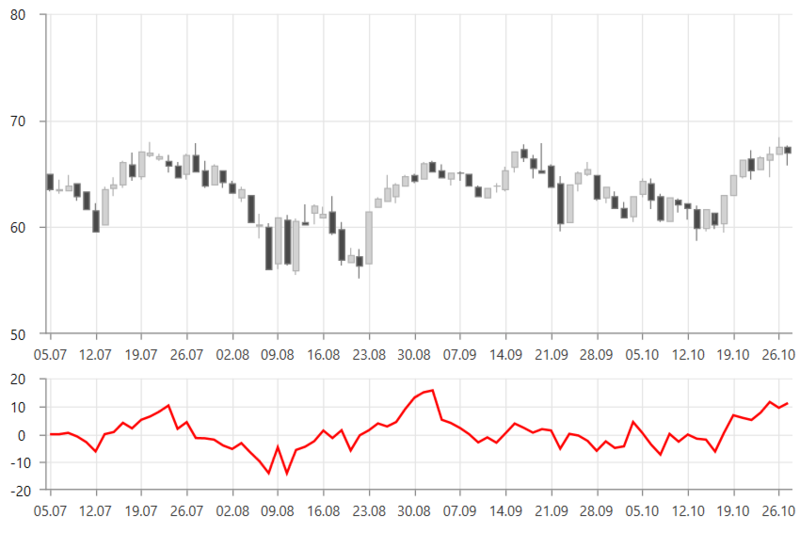 RateOfChangeIndicator measures the relative (percent) change in the values from one period to the next. Figure 1 shows 2 instances of RadCartesianChart. The top one shows only the candlestick series that displays the original data. The chart on the bottom shows the indicator.